SOLANA BEACH, Calif. (April 16, 2011) – An expanded new outdoor play area is one of the highlights of an updated preschool design at the Solana Beach Presbyterian Church. Part of a master plan for the church designed by domusstudio architecture, founded in 1986 as Dominy + Associates Architects, the preschool will move from its current location to the entire lower floor of the two-story Lomas Santa Fe Executive Plaza office building. The preschool’s new playground will wrap around three sides of the classroom wing and showcase a natural play environment. Drawings show grassy mounds and meandering pathways that foster imaginative play for preschool-aged children. Designed by domusstudio in conjunction with M. W. Peltz & Associates Landscape Architects, the outdoor area also will include a castle-like structure with a bridge and a slide. Drought-tolerant native plants incorporated into the play area will utilize reclaimed water. In addition to its expanded playground, the new preschool will accommodate as many as 40 more 3- to 5-year-olds with two additional classrooms. From the exterior, the building will look much the same, except for the addition of a new elevator near the new preschool entrance. The proposed elevator would improve access within the building and throughout the property. In addition, the elevator tower features colorful playground-like treatments designed by domusstudio architecture. The new preschool design also incorporates a safe new drop-off traffic pattern that allows parents and caregivers to park and access entry to the preschool without having to cross a parking lot or walk between cars. 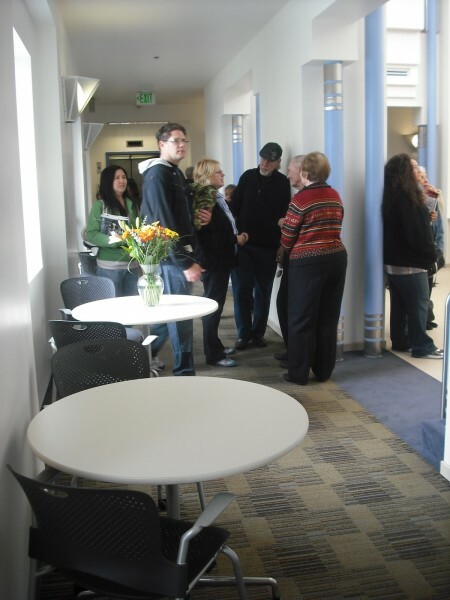 Informal seating clusters, like the new coffee corner, encourage browsing, relaxing and reading at the redesigned Oceanside Public Library. OCEANSIDE, Calif. (April 11, 2011) – Recent interior redesigns at the Oceanside Library give the public institution a marketplace theme that encourages more browsing and gives library staff an opportunity to put more focus on people. 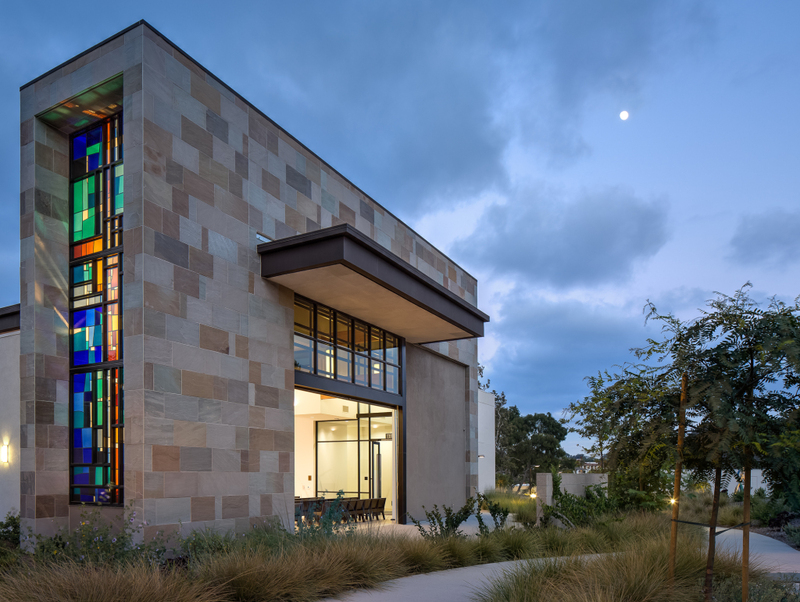 Designed within strict budget constraints by San Diego’s domusstudio architecture, founded in 1986 as Dominy + Associates Architects, the interior remodel rejuvenates the two-story, 30,000-square-foot library. a new children’s room with bookshelves that are shorter and angled so that library staff is better able to interact with customers. Part of the Oceanside Civic Center designed in 1985 by Charles Moore, the library’s architecture is characterized by a two-story atrium, well-lit from above by a row of large clerestory windows. The redesign by domusstudio architecture maintains the noted American architect’s vision, while breathing new life into the structure with the integration of a marketplace theme. domusstudio architecture previously worked with the County of San Diego to implement a new marketplace concept at four branch libraries.